In between a bunch of events that they’ve been exhibiting at, the team at Unlock the Past have managed to release three new titles in the last couple of weeks. Added to the increasing range of topics covered by the Unlock the Past guidebooks, these new ones cover everything from Scottish civil registration, to London and Middlesex research as well as using the New South Wales BDM index. Chris Paton takes us on a journey to look at the vast world of Scottish civil registration records. Scotland commenced the statutory registration of births, marriages and deaths within the country in 1855, some seventeen and half years after a similar process had already got underway in England and Wales. The information lost to the family historian by such a late start is, however, more than made up for by the fact that Scottish registration records are the most detailed of all those found within the British Isles. But what was the law behind Scottish registration, and how did it differ to England, Wales and Ireland? Who was legally obliged to do what and when, what were the penalties for default, and how might such knowledge help with our ancestral research? Why were all the forms of Scottish irregular marriage not abolished in 1939, and what angered the country’s doctors? Where are the records not found online via ScotlandsPeople, such as those for adoption, vaccination, civil partnerships and divorce – and what vital records does the General Register Office in England hold for Scots as far back at the 1760s, and far beyond Britain’s shores? London is often called a county in itself. In 1901, as many people lived in the UK’s capital city (4.5 million in the Administrative County of London) as in either Scotland or Ireland. The even larger Metropolitan Police District contains two million more (as many as the population of Wales). This concise guide explains what is meant by ‘London’ at different times, from its origins in the Roman Empire 2000 years ago, through the growth of the ‘City’ until Greater London’s almost complete absorption of the county of Middlesex in the 20th century. Most of the main London records are online, and this guide covers internet access to civil registration (births, marriage and deaths) from 1837, the 1841-1911 census returns, and parish registers (baptisms, marriages and burials) from 1538. In addition, it looks at websites for non-conformist registers, gravestone inscriptions, armed forces’ records, wills, criminal records, newspapers, local histories, directories and gazetteers. London’s family history societies and the city’s major archives are also covered, as are many London-specific websites. 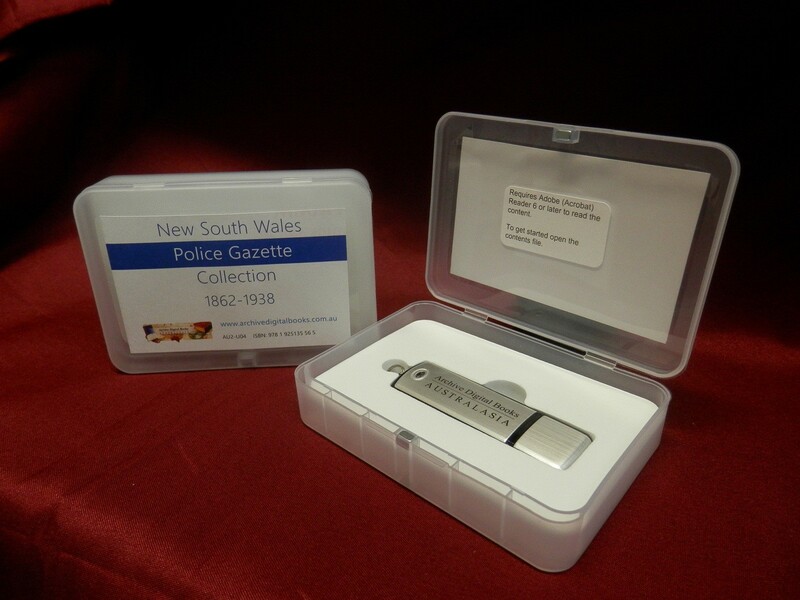 The author writes … “When we started researching out family history the New South Wales births, deaths and marriages index was not available for public access. Our research in those years involved writing to the registry in hope they were able to provide a certificate”. The index was first released as microfiche, then CDs which required a trip to a society of library. Now the index is available on the internet allowing searches any where and any time. Although there are benefits in each of the indexes, there are challenges which are explained in this book, together with offering insights as to how to full utilise the New South BDM index. Next5th Unlock the Past Cruise is Open for Booking! Hello! I’ve been reading your website for some time now and finally got the bravery to go ahead and give you a shout out from Porter Tx! Just wanted to mention keep up the excellent job! new mother moved to France, settling within the Paris suburb associated with Argenteuil. accent for his motion picture Le Coup een Sirocco. Benguigui (as he was still called) responded and gained the part. I was extremely pleased to discover this web site. I need to to thank you for ones time just for this fantastic read!! I definitely really liked every part of it and I have you saved as a favorite to look at new stuff in your blog. I pay a visit day-to-day a few web pages and websites to read articles, except this web site presents quality based writing.